Photo courtesy of Brian and Sarah Haigler, in memory of Maddy Haigler. These children often have wider, more flexible, and more pronated feet than typically developing kids that don’t fit well into conven­tionally sized and shaped footwear. Ill-fitting shoes are linked to foot-specific disability and many other issues. Here, clinicians share strategies for finding the right fit. So many things aren’t designed for kids, who must make do in a world designed for relative giants. But most of them can enjoy getting a new pair of shoes in which they can walk, run and jump, and be raucous kids. However, finding footwear that fits well can be a challenge for the parents of children with Down syndrome. In young children with Down syndrome, feet can be overlooked easily among the other challenges caregivers must handle, such as learning, cognitive, and dietary issues, and may not be a high priority, said Curt A. Bertram, CPO, FAAOP, national orthotics specialist and director of the National Residency Program at Hanger Clinic in Hartland, WI, who specializes in pediatrics. 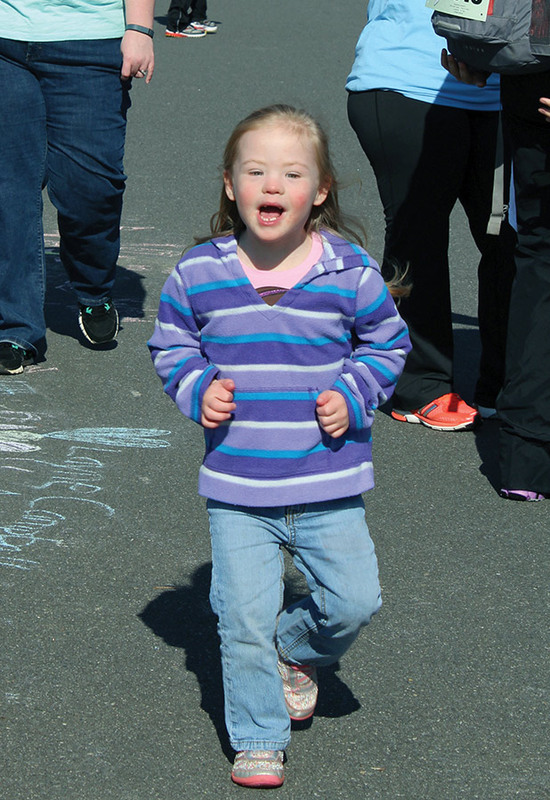 The feet of children with Down syndrome often come with their own set of challenges. The dimensions of their typically wide feet tend not to conform to the conventional sizes in which most shoes are made. Their feet can be hypotonic, pronate significantly, and sometimes require ankle foot orthoses (AFOs) or other devices that can be difficult to fit in shoes. This makes it hard to find footwear in the proper sizes with appropriate support (see “Orthotic solutions for children with hypotonia,” LER: In Step with Pediatric Hypotonia, 2013, page 12). Findings from an Australian study suggest children with Down syndrome may not be communicating foot-related problems to their parents effectively. Additionally, flat feet were present in 76% of the study’s participants, hallux valgus in 10%, and lesser toe deformities in 12%. Hallux valgus was associated with foot-specific disability during school and play activities. The study also found foot structure and footwear fit were not significantly associated with parent-reported limitations regarding footwear choice, suggesting children may not be communicating foot-related problems to their parents effectively. The study’s authors concluded that footwear education and regular footwear assessments could be helpful for children and adolescents with Down syndrome. “In the daily grind of the whole host of other concerns of individuals with Down syndrome, footwear can be placed literally and figuratively down on the bottom,” said study author Nikolaos Nikolopoulos, BPod (Hons), MBusSys, LLM, a lecturer at La Trobe University in Melbourne, Australia, and a longtime clinical podiatrist. In addition to ambulation and movement, footwear can also have implications for socialization and behavior, which can be important in children with Down syndrome, Nikolopoulos noted. “Hopefully, we’re presenting a good case for footwear,” he said. 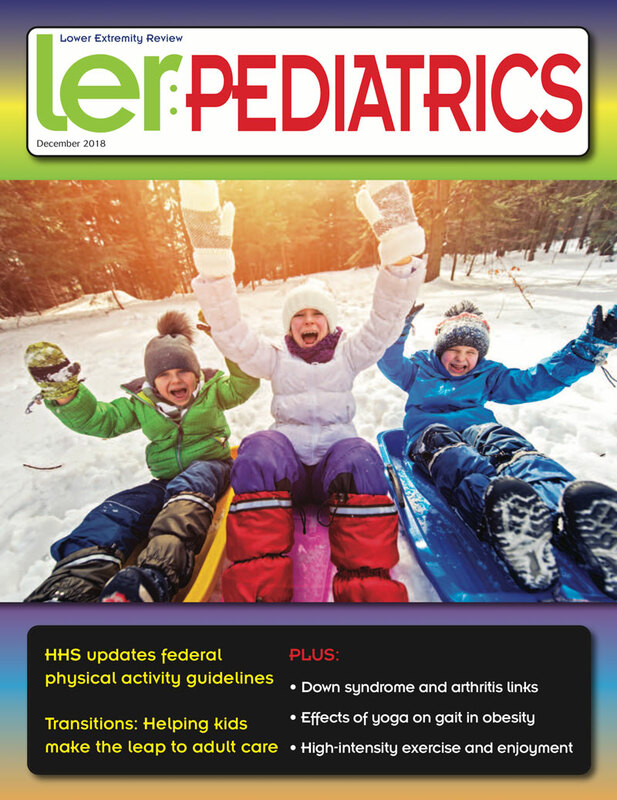 LER Pediatrics spoke with practitioners who work with this population about the challenges of finding footwear for children with Down syndrome that fits well and accommodates their unique needs. Bertram recommended early intervention and assessment of the feet of children with Down syndrome. 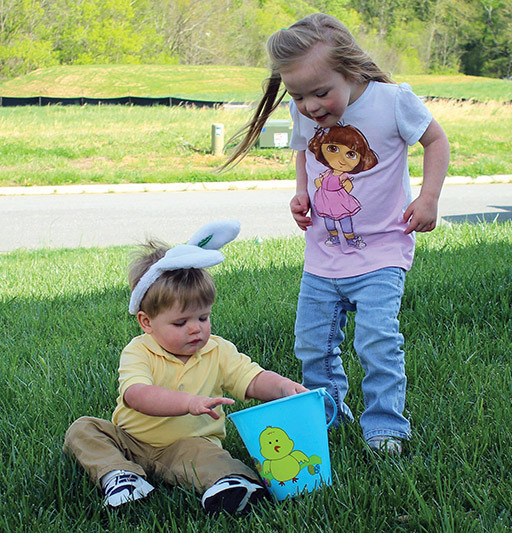 “Early” in this context means as soon as they start walking, which can occur later than in other kids, he said, and noted it’s better to treat them early to minimize the risk of foot pain and other foot problems as children mature. Why can’t children with Down syndrome just wear wider shoes? Unfortunately, it’s not so simple. Collapsed arches can make the feet of children with Down syndrome wider, and shoes wide enough to accommodate their flat feet may not fit properly in other areas. A lot of parents get shoes that are too long, which can cause difficulty when walking, said Faye McNerney, PT, DPT, C/NDT, who practices in Troy, OH. In the JFAR study, children’s shoes were, on average, 9 mm longer than their feet (range, 14.3 mm shorter-23.3 mm longer). Orthoses, which require even more room in the shoes, can make footwear fitting more challenging. In the JFAR study, 38% of the children wore orthoses. “A lot of children do have shoe-fitting issues, and we complicate this by giving them orthoses,” Bertram said. The feet of children with Down syndrome also tend to have a medial bulge with a forefoot that abducts, he said. “Instead of a C-shaped footprint, the pronated foot looks like the opposite of that,” Bertram said. Jenkins has conducted research on the foot-to-shoe mismatch in more than 4000 Special Olympic participants with Down syndrome and other disabilities (Special Olympics does not track its athletes’ specific disabilities). Participants had a median age of 25.6 years, and some were as young as 5 years.2 Foot screenings found a significant 41% mismatch of feet to shoes, and a 20% referral rate of athletes for professional follow-up. Mismatch was defined as shoes that were 1.5 sizes too big or too small for the foot; 28.6% of athletes wore shoes that were too large, while 12.8% wore shoes that were too short. “Conventional shoes available to all of us are not made on a last that’s appropriate for the Down syndrome foot,” Jenkins said. Jenkins has also found that shoes that don’t fit contribute to secondary problems in this population, such as blisters, bunions, and ingrown toenails, as well as pain, disability, and increased body mass index. “A lot of things had to be related to the shoe mismatch,” he said. To that end, he is serving as a consultant to a company that is developing shoes designed for the feet of children with Down syndrome about 8 years and older. The company, Foot Options, hopes to introduce the footwear line during the fourth quarter of this year. When a child with Down syndrome comes in for an assessment, Bertram first makes sure she or he has a good pair of shoes that fit properly. Next, if needed, is adding arch support to the shoes. After that, if the patient needs more control, he considers a supramal­l­eolar orthosis (SMO) or an AFO. 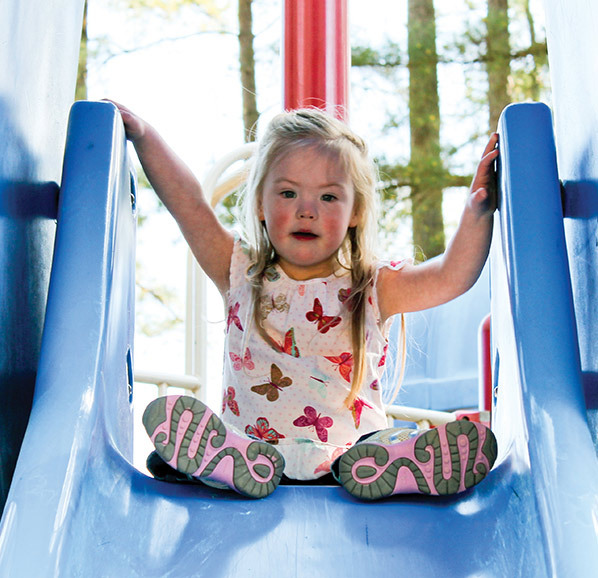 Practitioners and researchers who focus on the feet of children with Down syndrome note that finding appropriate footwear for those who require a lot of support is in some ways easier than for the children who don’t wear orthotic devices. 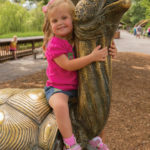 Children who wear AFOs or SMOs don’t require as much support from a shoe, though finding footwear that accommodates a wide Down syndrome foot, as well as a brace, can be challenging. An expensive shoe is not necessary, especially when kids are wearing an orthosis. “It’s basically a covering for the foot and orthosis,” McNerney said. A regular tennis shoe will do, and high-tops aren’t necessary. “You still want a flexible forefoot, but you don’t need to have a particularly stable heel counter,” said Julia Looper, PT, PhD, associate professor of physical therapy at the University of Puget Sound in Tacoma, WA. What is essential is for the footwear to fit over the device and stay put. Even the thinnest braces can cause shoe-fitting problems and may require going up half a size, said Kathy Martin, PT, DHS, professor and assistant DPT program director at the Krannert School of Physical Therapy at the University of Indianapolis in Indiana and a pediatric physical therapist who works with children with Down syndrome. For children who don’t wear braces, Bertram said a three-quarter top or high-top will provide better foot control than a low-top shoe. 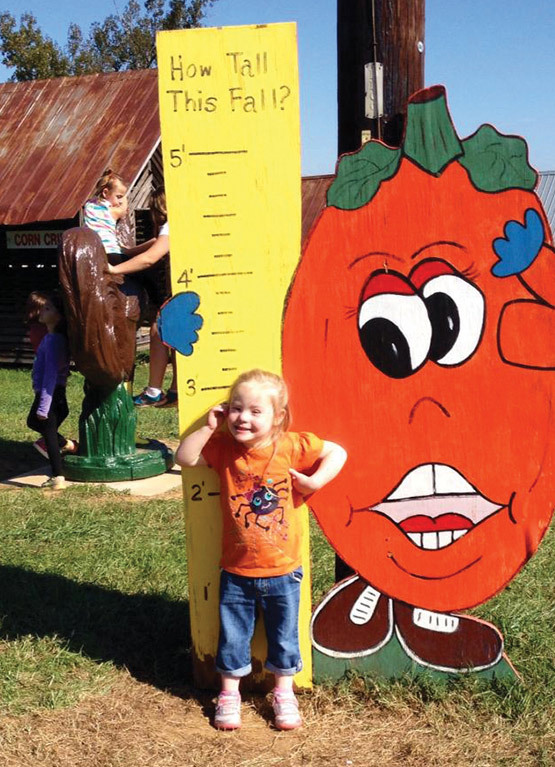 “With hypotonia, you tend to have feet that don’t function the way they should,” Bertram said. He recommends a stiffer shoe with solid construction, as well as a good heel counter and a wide sole, such as a high-quality athletic-type shoe. “If you don’t need an orthotic, a high-top shoe can give support to the heel and ankle bone so the foot can’t roll in as much,” Looper said. Martin added that a shoe with a straight or slightly curved last is better for these children, as a more curved last can encourage pronation. “They should be [wearing] a more supportive shoe because they don’t have intrinsic ligamentous support in the foot,” she said. Bertram advises that children with Down syndrome who have mild pronation and require arch support wear shoes with lacing rather than Velcro closures. Laces provide more support and control, though Velcro is preferable if the child wants to take the shoes on and off themselves. McNerney, who is a big proponent of SMOs in children with Down syndrome, recommends shoes with flexibility in the toe box and emphasizes the importance of the right width. Not only do shoes with laces provide a snugger fit than Velcro, McNerney said, she recommends them because, when kids are little, they can’t take them off when parents double-knot them. She noted this could otherwise be a problem when shoes are paired with a brace that takes some work to put on and secure properly in the shoe. “I’ve heard this story a lot,” she said, regarding kids removing their shoes and braces while sitting in the back of the car. But how do parents find shoes that are wide enough but not too long? “The best advice is to keep going to different shoe stores,” McNerney said. She said that some parents have gone to multiple shoe stores until they find the right shoes for their child with Down syndrome, and then they’ll buy the shoe in the next bigger sizes so they have it when they need it. She recommends that parents gravitate toward cheaper discount shoe and general merchandise stores. “They typically carry the wide shoes, the rejects,” she said. Looper suggested families learn which shoe brands work for their child’s feet, while Bertram cautioned that cost is not necessarily indicative of quality or shoes that control pronation. “I think the parents definitely need to have direction, otherwise they do really have a hard time,” McNerney said about selecting shoes. One trick Nikolopoulos recommended is tracing the foot on a piece of paper to provide a schematic of what is needed in the right shoe. Measuring both feet also can be helpful in this population, he said, particularly given that the children may be unlikely to report asymmetries in footwear fit that could become problematic. Although there isn’t yet any published research to prove it, some practitioners believe that not taking proper care of the feet of children with Down syndrome could cause secondary problems when they’re adults. Martin noted some adults with Down syndrome develop bunions—something seen in 10% of the children in the JFAR study—and overpronate. Bertram said he sees blisters, calluses, and acquired deformities from shoe wear in teenagers and young adults who have Down syndrome. He said this can be due to wearing bad footwear that is too small or from uncontrolled deformities that were never managed. These anecdotal observations are consistent with studies indicating an association between hallux valgus and too-short shoes in typically developing children. Bertram and Martin believe that individuals with Down syndrome are less likely to experience these secondary problems if, as children, they wear shoes that fit and provide support. But, for now, children with Down syndrome still have imperfect options for finding well-fitting footwear that provides the support they need. And practitioners are doing their best to give their pediatric patients with Down syndrome and their caregivers sound advice about appropriate footwear. Overall, though, practitioners like Martin concede they’re not the ones dealing with the kids every day, and that parents are better equipped to know if Velcro should win out over laces or if it’s reasonable to let their child wear cute sandals for a short amount of time. “You pick your battles,” Martin said. Lori Roniger is a freelance writer based in San Francisco, CA. Lim PQ, Shields N, Nikolopoulos N, et al. The association of foot structure and footwear fit with disability in children and adolescents with Down syndrome. J Foot Ankle Res 2015;8:4. Jenkins DW, Cooper K, O’Connor R, Watanabe L. Foot-to-shoe mismatch and rates of referral in Special Olympics athletes. J Am Podiatr Med Assoc 2012;102(3):187-197. Klein C, Groll-Knapp E, Kundi M, Kinz W. Increased hallux angle in children and its association with insufficient length of footwear: a community based cross sectional study. BMC Musculoskelet Disord 2009;10:159.